Two of my all time favorite tea bread recipes: barm brack and pastry swirls! 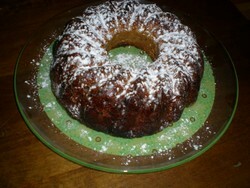 Tea bread is a wonderfully comforting cake usually served with hot steamy tea and butter. There are lots of different types of tea bread. They can be filled with fruit or packed with flavors. Even the simplest Madeira cake makes a delicious tea time treat. Here are two of my favorite all time tea bread recipes - enjoy! Irish Barm Brack - The original tea bread is an Irish sweet bread with raisins and other fruits in it. It is delicious eaten hot with butter, and is often served for breakfast alongside apple jelly. 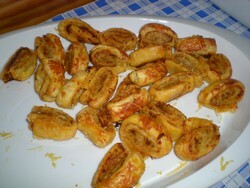 Pastry Swirls - A savoury snack that is simple to make. You can add whatever filling you like and they look great on the plate. Packed with fruit, it is great when toasted. It also uses little fat so you justify eating another slice! Step 1. Soak the fruit overnight in the tea. Step 2. Preheat the oven to 190 degrees / gas 5. Step 3. Sieve the flour into a large bowl and add the sugar and mixed spice. Step 4. Add the fruit and tea, mix well then add the egg and marmalade and combine well. Step 6. Bake for an hour and a half then cool on a wire rack. Pastry swirls – maximum effect for very little effort! I like to serve up a savoury snack and have discovered a brilliant and simple recipe for pastry swirls – you can add whatever filling you like and they look great on the plate. I like to make them a bit spicy with harissa sauce or you can use pesto for a lovely rich green swirl. Step 2. Add 3 tablespoons freezing cold water and stir in with a knife, then using your hands bring together into dough. Add extra water as needed. Step 6. Roll each into a long rectangle about 30 cm long and 20 cm wide. Step 7. Spread each with filling – not right up to the edges. Step 8. Roll into long swirly sausages and seal with milk. Brush with milk all over. Step 9. Cut into 1 cm slices and place on the baking tray with the swirl facing up. Step 10. Bake for 20 minutes until golden and crispy.